Ok, so I'm a day behind because of some craziness in my personal life, but here is the latest stop on the virtual tour for The Things in the Darkness! Usually doing scary reads during her Horrifying Mondays, she’s agreed to kicking off the tour on a Wednesday! Guest Article by Ira: What Inspired Him to Write! Stop by for an excerpt from the novel! Is the protagonist possessed? Posting Excerpt from the book! Keith Rommel, Author of The Cursed Man, Major Motion Picture Coming Soon! For her Horrifying Mondays, she’ll be reviewing the book! MORE STOPS TBA!! If you’d like to join the tour, contact Erin at hookofabook@hotmail.com as soon as possible. 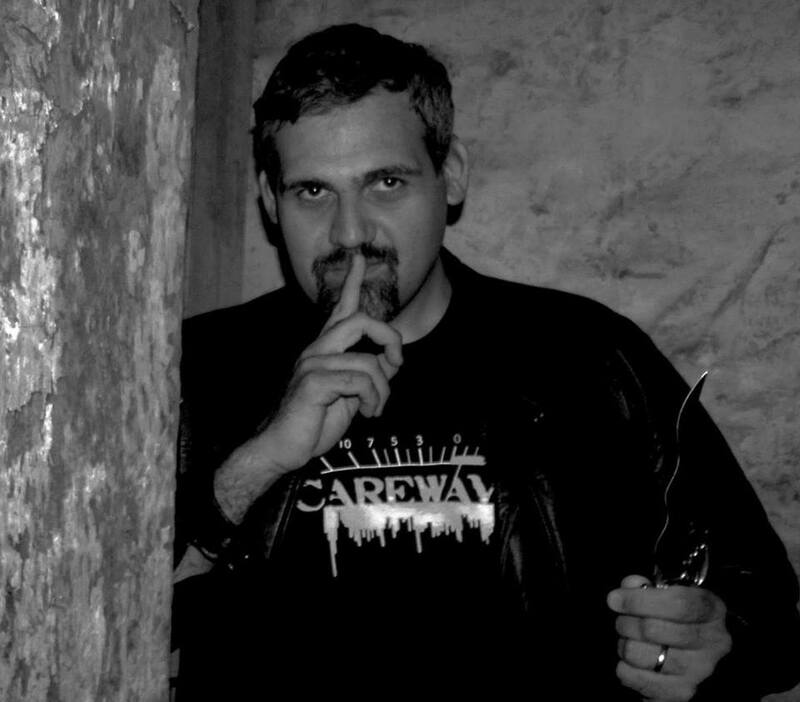 Ira M. Gansler is the father of three girls whom he adores and hopes to one day mold into fellow horror fans! Ira focuses on honing his writing craft through fiction, blogging, and screenwriting. He was one of the writers for the film Scarewaves, having written the screenplay for the “Office Case” segment. You can follow Ira M. Gansler on his blog, The Rage Circus Vs. The Soulless Void at http://ragecircus.blogspot.com, on twitter @RageCircusBlog, or on Facebook at http://www.facebook.com/ragecircusblogger. Ira also writes reviews and conducts interviews for the From Dusk Till Con Network at www.fromdusktillcon.com. Enter to win one of two great prizes during the #DarknessEmerges Tour. Ira is giving away a GRAND PRIZE of a signed print copy of his book, The Things in the Darkness, plus a signed copy of his “Office Case” segment from the movie, Scarewaves. As a second prize, he’s giving away another signed print copy! Enter to win through the Rafflecopter below. Enter now until Nov. 28, 2014. This is a tour wide giveaway, and open to U.S. Residents only due to shipping. If you want to enter from outside the U.S., and you can, but if you win, you’ll receive an e-book. Who is visiting you this Christmas? Wag The Fox spreads the darkness! Let the darkness reward you! Hunter Shea hosts "The Things in the Darkness"